Don't you find that the increase of bibliometric sites becomes very pathetic? or to signal a broken link. World Scientific, 2016, Lecture Notes Series, Institute for Mathematical Sciences, National University of Singapore: Volume 32.
editors: Jean-Pierre Banâtre, Pascal Fradet, Jean-Louis Giavitto, Olivier Michel. Jean-Louis Giavitto, Sharing (musical) time between machines and humans: simultaneity, succession and duration in real-time computer-human musical interaction. In Beyond Logic Proceedings of the Conference held in Cerisy-la-Salle, 22–27 May 2017 (invited chapter pp. 3-5 and slides pp. 41-74). DOI 10.15496/publikation-18676. Antoine Spicher and Jean-Louis Giavitto. Interaction-based Programming in MGS. In A. Adamatzky (Ed. 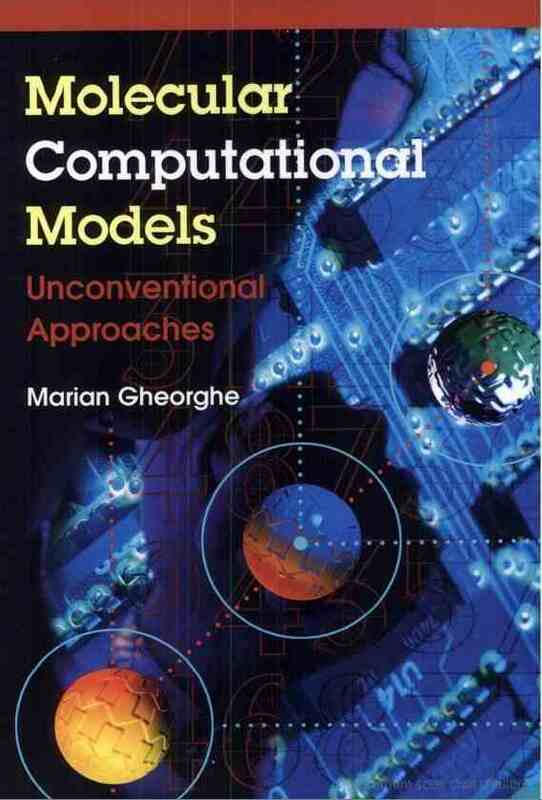 ), Advances in Unconventional Computing - Vol. 1 Theory, pp. 305-342. Volume 22 in Emergence, Complexity and Computation series. Springer. Under press, publication planned in 2017. DOI 10.1007/978-3-319-33924-5. Jean-Louis Giavitto and Antoine Spicher. A Topological Approach of Musical Relationships. 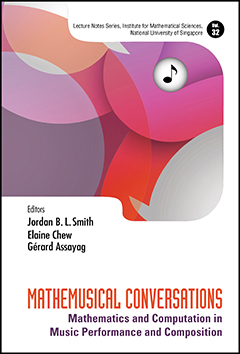 In Mathemusical Conversations: Mathematics and Computation in Music Performance and Composition. Edited by E. Chew. vol. 32, Lecture Notes Series, Institute for Mathematical Sciences, National University of Singapore. Publisher: Imperial College Press and World Press. ISBN: 978-981-3140-09-7. Contributeurs: Moreno Andreatta, Gérard Assayag, Jeanne Bamberger, Margaret Boden, Jean-Paul Bourguignon, Clifton Callender, Richard Cohn, Eran Egozy, Noam Elkies, Stephen Emmerson, Jean-Louis Giavitto, Don McLean, Christopher Raphael, John Rink, Ruth Rodrigues, Paul Schoenfield, Dmitri Tymoczko. Stefan Dulman, Jean-Louis Giavitto, Antoine Spicher and Mirko Viroli. Spatial computing - Special Issue of The Knowledge Engineering Review. DOI: https://doi.org/10.1017/S0269888916000205. Published online: 29 November 2016. Jean-Louis Giavitto. Du temps écrit au temps produit en informatique musicale. Chapitre de Produire le temps, édité par H. Vinet. Hermann avril 2014. 238p. Contributeurs : Yves André, Gérard Berry, Antoine Bonnet, Nicolas Donin, Laurent Feneyrou, Patrick Flandrin, Jean-Louis Giavitto, Philippe Manoury, François Nicolas, Thierry Paul, François Regnault, Pierre-André Valade, Hugues Vinet. Un calcul doit se terminer : l'informatique naît aussi de la prise en compte du temps dans la mécanisation du raisonnement. Le temps est alors une ressource et l'informaticien l'organise dans ses langages autour des figures de de la succession, de la simultanéité et de la durée. Cette grille d'analyse reste cependant limitée. D'abord parce que ces trois notions n'épuisent pas les formes du temps en informatique - logique ou réel, événementiel ou continu, linéaire ou arborescent… - pas plus que ses usages comme par exemple le calcul du temps, dans le temps et à temps, de l'informatique musicale. Ensuite parce que si le temps est une ressource pour les systèmes informatiques, ceux-ci doivent de plus en plus interagir avec nous et notre temps vécu. Les calculs deviennent alors des processus ouverts qui doivent nous saisir sur le vif et l'informaticien se confronte à d'autres dimensions du temps comme le mouvement, la mémoire et l'apprentissage, l'attente et l'anticipation. 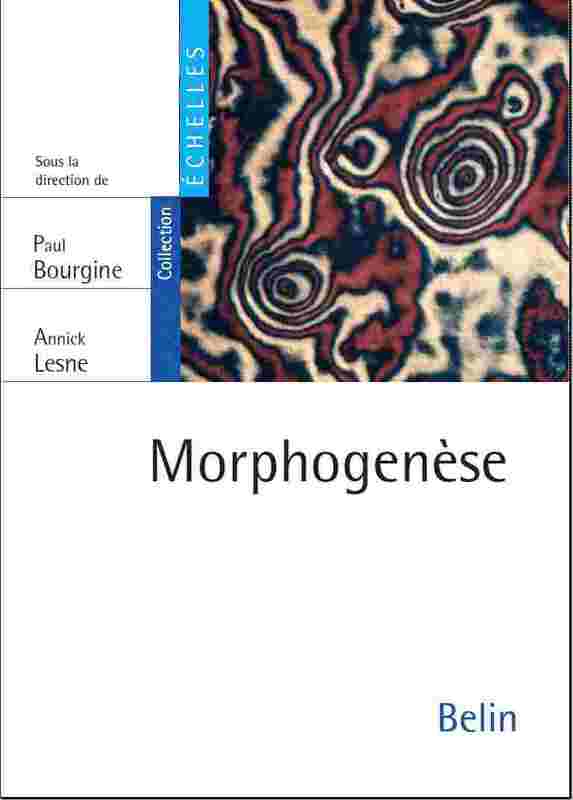 Jean-Louis Giavitto, Antoine Spicher, Olivier Michel, chapter: Interaction-Based Modeling of Morphogenesis in MGS in Morphogenetic Engineering, Doursat, René; Sayama, Hiroki; Michel, Olivier (Eds. ), Springer Series: Understanding Complex Systems, in press, 2012. J.-L. Giavitto, A. Spicher. Morphogenesis, Origins of Patterns and Shapes, chapter Computer Morphogenesis. 2011, Springer. Antoine Spicher, Olivier Michel and Jean-Louis Giavitto. Understanding the Dynamics of Biological Systems: Lessons Learned from Integrative Systems Biology, chapter : Interaction-Based Simulations for Integrative Spatial Systems Biology W. Dubitzky, J Southgate and H. Fuss (editors). Springer-Verlag. To appear. Olivier Danvy, Andrzej Filinski, Jean-Louis Giavitto, Andy King, Pierre-Etienne Moreau, and Carolyn L. Talcott. Editorial (guest editors for the special issue on rule based programming). Higher-Order and Symbolic Computation, 19(4) :343–344, 2006. André De Hon, Jean-Louis Giavitto, and Frédéric Gruau, editors. Computing Media and Languages for Space-Oriented Computation, number 06361 in Dagsthul Seminar Proceedings. Dagsthul, 3-8 september 2006. J.-L. Giavitto, J.-P Banâtre, P. Fradet, and O. Michel, editors. Proceedings of EU-NSF Strategic Research Workshop on Unconventional Programming Paradigms (UPP'04), Mont Saint-Michel, 2004. ERCIM - NFS, ERCIM, http://www.ercim.org/EU-NSF/UPP04-proceedings.pdf. A selection of revised and extended papers have been published in LNCS. J.-L. Giavitto, O. Michel, J.-P Banâtre, and P. Fradet. Modèles de programmation non-conventionnels. Technique et Science Informatique, 23:177-186, 2004. Compte-rendu de l'atelier international UPP'04. J.-P Banâtre, P. Fradet, J.-L. Giavitto, and O. Michel, editors. Unconventional Programming Paradigms (UPP'04), volume 3566 of LNCS, Le Mont Saint-Michel, France, September 2005. ERCIM - NFS, Springer Verlag. Revised, selected and invited papers. 367 p. ISBN: 3-540-27884-2. http://www.springeronline.com/3-540-27884-2. J.-L. Giavitto. Modelling and simulation of biological processes in the context of genomics, chapter On The biochemical abstract machine BIOCHAM, comments on a presentation of François Fages, pages 175-176; chapter On Biologically-inspired Cellular Computing Machines, Comments on a presentation of Christof Teuscher, pages 181-181; chapter On Modelling of Biochemical networks of interactions, Comments on a presentation of Gordon Plotkin, pages 203-204; Genopole & Platypus Press, ISBN 2-84704-0374, 2004. F. Képès, P. Amar, G. Barlovatz, G. Bernot, C. Froidevaux, J.-L. Giavitto, J. Guespin, F. Molina, V. Norris, and V. Schächter. Modelling and simulation of biological processes in the context of genomics, chapter "Introduction and Conference synthesis", pages 9-16. Genopole & Platypus Press, ISBN 2-84704-0374, 2004. J.-L. Giavitto, C. Godin, O. Michel, and P. Prusinkiewicz. Modelling and simulation of biological processes in the context of genomics, chapter "Computational Models for Integrative and Developmental Biology". Proceedings of the Dieppes spring school 12-16 may 2003. Platipus Press, Nov. 2003, ISBN: 2-84704-036-6. J.-L. Giavitto, P.-E. Moreau editeurs. 4th International Workshop on rule-Based Programming (RULE'03), june 2003, Valencia, Spain. Volume 86 issue 2 of ENTCS (electronic note in theoretical computer science). Elsevier, 2003. (online publication date: sept. 2003). Preproceedings are available as the Technical Report DSIC-II/11/03 University of Valencia, Spain. Ce workshop a donné lieu à un numéro spécial de la revue HOSC co-édité par O. Danvy, P.-E. Moreau et moi-même. V. Noris, P. Amar, P. Ballet, G. Bernot, F. Delaplace, M. Demarty, J.-L. Giavitto, C. Ripoll, M. Thellier, and A. Zemirline. Modelling and Simulation of biological processes in the context of genomics, chapter ``Hyperstructures. Hermes, July 2002. Also published as a tutorial chapter of the proceedings of the workshop ``Modélisation et simulation de processus biologiques dans le contexte de la génomique, 17-21 mars 2002, Autran, France. A. Zemirline, P. Ballet, L. Marcé, P. Amar, P. Ballet, G. Bernot, F. Delaplace, J.-L. Giavitto, O. Michel, J.-M. Delosme, R. Incitti, P. Bourgine, C. Godin, F. Képès, P. Tracqui, V. Noris, J. Guespin, M. Demarty, and C. Ripoll. Modelling and Simulation of biological processes in the context of genomics, chapter ``Cellular-automata, Reaction-Diffusion and Multiagents Systems for Artificial Cell Modelling. Hermes, July 2002. Also published as a tutorial chapter of the proceedings of the workshop ``Modélisation et simulation de processus biologiques dans le contexte de la génomique, 17-21 mars 2002, Autran, France. J.-L. Giavitto, C. Godin, O. Michel, and P. Prusinkiewicz. Modelling and simulation of biological processes in the context of genomics, chapter Computational Models for Integrative and Developmental Biology. Hermes, July 2002. A revised version appears in the proceedings of the Dieppes spring school 12-16 may 2003, published by Platipus Press, ISBN: 2-84704-036-6. J.-L. Giavitto, editeur. Parallélisme, distribution et objet, volume 9 de Technique et Science Informatique. Hermes Science, 2000. numéro thématique de TSI publié aussi sous la forme d'un livre indépendant. Franck Delaplace, Cinzia Di Giusto, Jean-Louis Giavitto, Hanna Klaudel, Antoine Spicher. Activity Networks with Delays an Application to Toxicity Analysis. Fundamenta Informaticae, Polskie Towarzystwo Matematyczne, 2018, 160 (1-2), pp.119 –142. 〈10.3233/FI-2018-1677〉. Jonathan Pascalie, Martin Potier, Taras Kowaliw, Jean-Louis Giavitto, Olivier Michel, Antoine Spicher, and René Doursat. Developmental Design of Synthetic Bacterial Architectures by Morphogenetic Engineering. ACS Synth. Biol., DOI: 10.1021/acssynbio.5b00246. Publication Date (Web): May 31, 2016. Nicolás Schmidt Gubbins, Arshia Cont, Jean-Louis Giavitto. First step towards embedding real-time audio computing in Antescofo. I3 Investigación, Interdisciplina, Innovación (Journal de Investigación de Pregrado). Chili 2015. José Echeveste, Arshia Cont, Jean-Louis Giavitto and Florent Jaquemard. Operational semantics of a domain specific language for real time musician–computer interaction. J. of Discrete Event Dynamic Systems, vol. 23, n°4, pp 343-383, 2013. J.-L. Giavitto, F. Rechenmann. Turing chapitre dans la revue DocSciences numéro 14 Alan Turing : la pensée informatique contribution sous le signe du calcul. DocScience est une revue éditée par le CRDP de l'Académie de Versailles à destination des lycéens et de leurs professeurs. Olivier Michel, Antoine Spicher and Jean-Louis Giavitto. Rule-based programming for integrative biological modeling -- Application to the modeling of the lambda phage genetic switch. Natural Computing, pp 25, 2009. Jean-Louis Giavitto and Antoine Spicher. Topological rewriting and the geometrization of programming. Physica D, 237:1302–1314, 2008. Alain R. Thierry, François Képès, Patrick Amar, Georgia Barlovatz-Meimon, Gilles Bernot, Marie Beurton-Aimar, Marie Dutreix, Jean-Louis Giavitto, Janine Guespin, Jean-Pierre Mazat, Victor Norris, Vincent Schächter, Philippe Tracqui, Christophe Godin and Franck Molina. Modelling of biological complex systems in the context of genomics.an account of a multidisciplinary thematic seminar held in montpellier (france) in april 2005. Journal of Biological Physics and Chemistry, 6(2) :103–107, 2006. O. Michel, J.-P. Banâtre, P. Fradet and J.-L. Giavitto. Challenging Questions for the Rationals of Non-Classical Programming Languages (preliminary version). International Journal of Unconventional Computing (IJUC), Vol. 2, N° 4, 2006, pp. 337-347. F. Képès, P. Amar, G. Barlovatz, G. Bernot, C. Froidevaux, J.-L. Giavitto, J. Guespin, F. Molina, V. Norris, and V. Schächter. Modelling and simulating biological processes in the genomic era: an account of a multidisciplinary thematic school held in Évry (france) in april 2004. Journal of Biological Physics and Chemistry, 4:131-136, October 2004. J.-L. Giavitto, G. Malcolm and O. Michel. 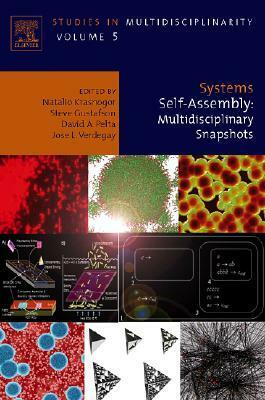 Rewriting Systems and the Modelling of Biological Systems. Comparative and Functional Genomics, 5:95-99, February 2004 (journal version). J.-L. Giavitto, O. Michel, and F. Delaplace. Declarative simulation of dynamicals systems : the 8 1/2 programming language and its application to the simulation of genetic networks. BioSystems, 68(2–3):155–170, feb/march 2003. J.-L. Giavitto and O. Michel. Modeling the topological organization of cellular processes. BioSystems, 70(2):149–163, 2003. Republication in Physics of Life, August(3), 2003. See http://www.physicsoflife.com/index.html. This Elsevier electronic Journal contains selected articles that have been published in 22 contributing journals from Elsevier Science, covering Physics, Biology, Chemistry and Medicine with a focus on biological physics research. V. Norris, P. Amar, G. Bernot, J.-L. Giavitto, G. Godin, J. Guespin, H. Pollard, P. Tracqui and F. Képès. Modelling and Simulation of biological processes in the context of genomics. Journal of Biological Physics and Chemistry, 3 (2003) 106–110. J.-L. Giavitto and O. Michel. The topological structures of membrane computing. Fundamenta Informaticae, 49:107–129, 2002. J.-L. Giavitto, O. Michel, and J. Cohen. Pattern-matching and rewriting rules for group indexed data structures. ACM SIGPLAN Notices, 37(12):76–87, Dec. 2002. P. Amar, P. Ballet, G. Barlovatz-Meimon, A. Benecke, G. Bernot, Y. Bouligand, P. Bourguine, F. Delaplace, J.-M. Delosme, M. Demarty, I. Fishov, J. Fourmentin-Guilbert, J. Fralick, J.-L. Giavitto, B. Gleyse, C. Godin, R. Incitti, F. Képès, C. Lange, L. L. Sceller, C. Loutellier, O. Michel, F. Molina, C. Monnier, R. Natowicz, V. Norris, N. Orange, H. Pollard, D. Raine, C. Ripoll, J. Rouviere-Yaniv, M. Saier, P. Soler, P. Tambourin, M. Thellier, P. Tracqui, D. Ussery, J.-C. Vincent, J.-P. Vannier, P. Wiggins, and A. Zemirline. Hyperstructures, genome analysis and I-cells. Acta Biotheoretica, 50, 2002. J.-L. Giavitto and J.-P. Sansonnet. 81/2 : data-parallélisme et dataflow. Techniques et Sciences de l'Ingénieur, 12 - Numéro 5, 1993. Numéro spécial Langages à Parallélisme de Données. C. Benoit and J.-L. Giavitto. Le vocabulaire des langages à objet. La Lettre de l'Intelligence Artificielle, 1987. J.-L. Giavitto, J. Echeveste, A. Cont, P. Cuvillier. Time, Timelines and Temporal Scopes in the Antescofo DSL v1.0. International Computer Music Conference (ICMC), Oct 2017, Shanghai, China. ISBN 978-0-0845274-6-5, Proceedings of ICMC 2017 - 43rd International Computer Music Conference: Hearing the self. Oct 2017, Shanghai, China. P. Donat-Bouillud, J.-L. Giavitto. Typing heterogeneous dataflow graphs for static buffering and scheduling Proceedings of ICMC 2017 - 43rd International Computer Music Conference: Hearing the self. Oct 2017, Shanghai, China. ISBN 978-0-0845274-6-5, Proceedings of ICMC 2017 - 43rd International Computer Music Conference: Hearing the self. Oct 2017, Shanghai, China. P. Donat-Bouillud, J.-L. Giavitto, A. Cont, N. Schmidt and Y. Orlarey. Embedding native audio-processing in a score following system with quasi sample accuracy. In Proc. of the 42th International Computer Music Conference (ICMC'16). September 2016, Utrecht, Netherlands. Ren Y., Doursat R., Giavitto J.-L. Synchronization in Musical Group Playing. 11th International Symposium on Computer Music Multidisciplinary Research CMMR Music, Mind, and Embodiment will take place in Plymouth, UK on 16-19 June 2015. Best student paper awards. Planning Human-Computer Improvisation Jérôme Nika, José Echeveste, Marc Chemillier and Jean-Louis Giavitto. In Proceedings of the 40th International Computer Music Conference (ICMC) joint with the 11th Sound & Music Computing conference (SMC) (ICMC+SMC anniversary), 14–20 September Athens, Greece, 2014. AscoGraph: A User Interface for Sequencing and Score Following for Interactive Music Thomas Coffy, Jean-Louis Giavitto and Arshia Cont. In Proceedings of the 40th International Computer Music Conference (ICMC) joint with the 11th Sound & Music Computing conference (SMC) (ICMC+SMC anniversary), 14–20 September Athens, Greece, 2014. The Cyber-Physical System Approach for Automatic Music Accompaniment in Antescofo Arshia Cont, José Echeveste and Jean-Louis Giavitto. In Automatic Musical Accompaniment Systems track of the Acoustical Society of America Spring 2014 meeting. Best Paper Award in the Musical Acoustics category of the 167th Acoustical Society of America Meeting. Arshia Cont, José Echeveste, Florent Jacquemard, Jean-Louis Giavitto. Correct automatic accompaniment despite machine listening or human errors in Antescofo. ICMC 2012 (International Computer Music Conference), 9-15 September, Ljubljana, Slovenia. A. Dautriche, J.-L. Giavitto, H. Klaudel, F. Pommereau. State Space explorations of Spatially Organized Poplation of agents. In Spatial Computing Workshop, a satellite workshop of SASO 2011, 3 october 2011, Ann Arbor, Michigan. Paper (.pdf) slides (.pdf). Antoine Spicher, Olivier Michel and Jean-Louis Giavitto. Declarative Mesh Subdivision Using Topological Rewriting in MGS. Int. Conf. on Graph Transformations (ICGT) 2010, LNCS 6372, pp. 298-313, October 2010. J.-L. Giavitto, H. Klaudel and F. Pommereau. Qualitative modelling and analysis of regulations in multi-cellular systems using Petri nets and topological collections. In Proc. of MeCBIC'2010, EPTCS vol.34, http://eptcs.org/content.cgi?MeCBIC2010/, Open Publishing Association. Arxiv versions. Aurélien Hazan, Vincent Vigneron, Jean-Louis Giavitto, Olivier Michel, and Hichem Maaref. A relationist and descriptive approach to stationary time series. In Proceedings of the European Conference on Complex Systems (ECCS07), octobre 2007. F. Bernardini, M. Gheorghe, N. Krasnogor, and J.-L. Giavitto. On self-assembly in population p systems. In Proc. of UC'05 - Fourth International Conference on Unconventional Computation, volume 3699, pages 46 - 57. LNSC, Springer-Verlag, October 3-7, 2005, Sevilla. Antoine Spicher, Olivier Michel, and Jean-Louis Giavitto. Algorithmic self-assembly by accretion and by carving in MGS. In Proc. of the 7th International Conference on Artificial Evolution (EA'05), LNCS, University of Lille - France, October 2005. Springer-Verlag. J.-L. Giavitto, O. Michel, J. Cohen, and A. Spicher. Computation in space and space in computation. In Unconventional Programming Paradigms (UPP'04), volume 3566 of LNCS, pages 137-152, Le Mont Saint-Michel, September 2005. Spinger. Antoine Spicher, Olivier Michel, and Jean-Louis Giavitto. A topological framework for the specification and the simulation of discrete dynamical systems. In Sixth International conference on Cellular Automata for Research and Industry (ACRI'04), volume 3305 of LNCS, Amsterdam, October 2004. Springer. J.-L. Giavitto, O. Michel, and J. Cohen. Accretive rules in cayley p systems. In G. Paun, G. Rozenberg, A. Salomaa, and C. Zandron, editors, Membrane Computing 2002, pages 319–338. LNCS 2597, 2003. Springer. J.-L. Giavitto. Invited talk: Topological collections, transformations and their application to the modeling and the simulation of dynamical systems. In Rewriting Technics and Applications (RTA'03), volume LNCS 2706 of LNCS, pages 208 – 233, Valencia, June 2003. Springer. Preliminary version. J.-L. Giavitto and O. Michel. Pattern-matching and Rewriting Rules for Group Indexed Data Structures In ACM Sigplan Workshop RULE'02, pages 55–66, Pittsburgh, Oct. 2002. ACM. J.-L. Giavitto and O. Michel. Data Structure as Topological Spaces. In Proceedings of the 3nd International Conference on Unconventional Models of Computation UMC02. October 2002, Himeji, Japan. LNCS 2509. October 2002. J.-L. Giavitto, O. Michel, and F. Delaplace. Declarative simulation of dynamicals systems : the 8 1/2 programming language and its application to the simulation of genetic networks. In Proceedings of IPCAT 2001 (Workshop on Information Processing in Cells and Tissues), August 2001. J.-L. Giavitto and O. Michel. MGS: a rule-based programming language for complex objects and collections. In Mark van den Brand and Rakesh Verma, editors, Electronic Notes in Theoretical Computer Science, volume 59. Elsevier Science Publishers, 2001. J.-L. Giavitto and O. Michel. Declarative definition of group indexed data structures and approximation of their domains. In Proceedings of the 3nd International ACM SIGPLAN Conference on Principles and Practice of Declarative Programming (PPDP-01). ACM Press, September 2001. J.-L. Giavitto. A fixed point approach to the resolution of array equations. In I. Guessarian, editeur, Fixed Points in Computer Science (FICS'2000), Paris, Juillet 2000. satellite workshop of LC'2000. J.-L. Giavitto. A framework for the recursive definition of data structures. In ACM-Sigplan 2nd International Conference on Principles and Practice of Declarative Programming (PPDP'00), pages 45–55, Montréal, Septembre 2000. ACM-press. Organisation de la journée : Modéles formels pour la modélisation biologique . Invité : G. Plotkin, V. Danos, F. Fages, C. Teuscher et H. Meihnardt. Modélisation et simulation de processus biologiques dans le contexte de la génomique, mars 2004, Evry, France. The MGS project. Séminaire de l'équipe AGATA. CEA - Saclay, mars 2004. Mouvement et calcul dans une structure de donnée : une approche langage fondé sur des notions topologiques. Séminaire du projet Alchemy. LRI-INRIA, mars 2004. Unconventional Programming Paradigms: Preliminary Notes for a Debate. EU-NSF Workshop, Mont Saint-Michel, 2004. Calcul dans l'espace et espace du calcul. Séminaire d'algorithmique de Caen. Janvier 2005. Computation in Space and Space in Computation. Computer Science Department / University of Liverpool. Février 2005. Organisation et animation de la journée : Chimie artificielle et cellule virtuelle. Invité : B. Pau, F. Houllier, P. Dittrich, M. Amos, A. Griffiths. Modélisation et simulation de processus biologiques dans le contexte de la génomique, avril 2005, Montpellier. Systèmes de réécriture et modélisation informatique des systèmes dynamiques à structure dynamiques. Ecole de printemps de Berder : ``Information et Optimisation : quel dialogue entre la biologie et les autres disciplines ?''. Ile de Berder, avril 2005. The chemical paradigm, programming in space and the implementation of autonomic systems. In Unconventional computation : Quo Vadis, Santa-Fe, 21-23 march 2007. Center for Nonlinear Studies (CNLS). (invited speaker). Interlink workshop. working group on ”software intensive systems and new computing paradigms”. Spatial Computing., 10-12 may 2007, Eze. Interlink workshop. working group on ”software intensive systems and new computing paradigms”. Spatial programming and autonomic computing., 3-4 december 2007, Munich. Programming language, distributed computing and the reconstruction of biological systems in ”what are the theoretical tools most useful for understanding biological systems ?” colloque de l'IHES, 12-15 november 2007. Interlink workshop. working group on ”software intensive systems and new computing paradigms”. Chemical Paradigm and distributed computing, 28-29 July 2008, Urbana-Champaign, Illinois, USA. Interlink workshop. working group on ”software intensive systems and new computing paradigms”. Consolidation Workshop. 12-14 November 2008, Cannes. Ca se calcule, c’est un calcul, parce que ca calcule. in ”la thèse de Church : hier, aujourd’hui, demain – regards croisés de philosophes et de théoriciens du calcul”, colloque d’histoire et philosophie de l’informatique, 11 april 2008. Modelling and simulation of dynamical systems with a dynamical structure. In FoodSim’08, Dublin, 26-26 june 2008. Eurosis. Jean-Louis Giavitto and Olivier Michel. Topological structure of interactions. 1st European Workshop on Correlations in Computer Science, 6-7 august 2008. Jean-Louis Giavitto and Olivier Michel. Topologie combinatoire et programmation. Rencontre toulousaine graphes et topologie, 30 june 2008.
que en françcais. Table ronde "quel avenir pour les conferences francophones" In Rencontre nationales du GDR GPL, Toulouse, 27 janvier 2009. Le calcul, une notion difficile à attraper. Sur le site de Interstice. La bactérie, le simulateur et son modèle. In LIGC'09 : Egalité, identité, isomorphisme, Florence, septembre 2009. (invited speaker, unpublished). Conceptions de machines fluides. In SISC'09 : Vers une science et ingénierie des systèmes complexes, Colloque RNSC - CNRS, Novembre 2009. (invited speaker, vidéo en ligne). Jean-Louis Giavitto avec A. Spicher et O. Michel. Trois usages de notions spatiales en programmation et en représentation des connaissances In Séminaire MaMux, IRCAM, Novembre 2009. Design Patterns of Pattern Formation and Morphogenesis in a Declarative Programming Language. In Conférence Interdisciplinaire sur la Formation des Motifs dans la Morphogénèse, IHES, janvier 2010. (invited speaker, unpublished). Un langage dédié à la simulation de processus de morphogenése. In Groupe de travail Bio, LIENS, Ecole Normale, février 2010.
cial Systems Simulations. In Int. workshop on Language Descriptions Tools and Applications (LDTA'10), Paphos. (invited speaker, abstract on proc. published at ACM digital library). Outils et langages de simulation de processus biologiques. In Groupe de travail Nanotechnologie pour la biologie, CEA Saclay, mars 2010. Declarative simulation of dynamical structure. In Int. Coll. Morphogenesis in Living Systems, Paris, May 2010. (invited speaker, unpublished). Des calculateurs universels sur le site d'Interstice. MGS, a declarative spatial computing programming language, In New World Of Computation 2011, Orleans, May 2011. Slides. MGS : un langage déclaratif pour la programmation spatiale. Séminaire SupMeca, mai 2011. Slides. Calculer différemment sur le site d'Interstice. Programmation spatiale : application à l'analyse des contes de fées et à l'analyse musicale, séminaire IPAC, Nancy mars 2012. Arbitrary Nesting in Spatial Computation, Spatial Computing Workshop 2012 at AAMAS, 5 june, Valencia, Spain. Du temps écrits au temps produit avec Arshia Cont. Intervention au colloque Produire le temps, 14 & 15 juin, Ircam - ENS - Polytechnique, Paris. Susan Stepney, Ada Diaconescu, Rene Doursat, Jean-Louis Giavitto, Taras Kowaliw, Ottoline Leyser, Bruce MacLennan, Olivier Michel, Julian F. Miller, Igor Nikolic, Antoine Spicher, Christof Teuscher, Gunnar Tufte, Francisco J. Vico and Lidia Yamamoto. Gardening Cyber-Physical Systems. Unconventionnal Computation and Natural Computation (UCNC'2012), Lecture Notes in Computer Science, 2012, Volume 7445/2012. Poster. Jean-Louis Giavitto. À propos des nouveaux langages de programmation. Podcast audio sur le site web Interstice, Interstice, Juillet 2012. Jean-Louis Giavitto, François Reichenman. Sous le signe du calcul. Interstice. Antoine Spicher, modélisation calculatoire de systèmes dynamiques à structure dynamique , Journée Réseaux et structures dynamiques avec B. Ducourthial, L. Nottale, A. Spicher, A. Ehresmann, R. Guitart, A. Burroni, S. Dugowson, 22 mai 2012, SupMeca. Projection de "Codebreaker: Alan Turing", intervenant (avec B. Chazelle et J. Lassègue) au débat animé par Cédric Villani au cinéma Le Grand Action, 17 décembre 2012. IDEM, intervenant (G. Berry et P.-L. Curien) au débat animé par Cédric Villani au cinéma Le Grand Action, 27 février 2013. Présentation Introductive La preuve et ses moyens, Rencontres interdisciplinaires de Rochebrune, 13 au 19 janvier 2013. Analyse formelle des concepts, Q-­analyse et programmation spatiale : quelques aspects philosophiques du nœud mathématique/musique/ informatique exposé avec Moreno Andreatta au séminaire MaMuPhi à l'Ecole Normale (séance du 2 février 2013). Projection de "Codebreaker: Alan Turing", intervenant (G. Berry et P.-L. Curien) au débat animé par Cédric Villani au cinéma Le Grand Action, 27 février 2013. Écriture du temps et de l'interaction en informatique musicale. séminaire Philosophie de l'informatique, de la logique et de leurs interfaces, Centre Cavaillès, Ecole Normale, 18 mars 2013. Spatial Computing and Application to Music Analysis. Invited Professor, 4*4h University of Cali, Colombie, 22/06-03/07, 2013. Du temps écrit au temps produit avec Julia Blondeau (compositrice) CNSMD, Mardi de la Recherche, Ecole Normale Supérieure de Lyon, 24 avril 2014. The cyber-physical system approach for automatic music accompaniment in Antescofo, Arshia Cont (MuTant Team, IRCAM) with José Echeveste and JL Giavitto. In Automatic Musical Accompaniment Systems: a seminar session and Demonstration Concert session dedicated to Automatic Musical Accompaniment Systems, during the Acoustical Society of America Spring 2014 meeting. Chaired and Curated by Christopher Raphael (Indiana University) and James Beauchamp (University of Illinois at Urbana-Champaign). May 8th, 2014Providence, USA. The videos of the performance session are available. The corresponding MuTant paper entitled The Cyber-Physical System Approach for Automatic Music Accompaniment in Antescofo won the Best Paper Award in the Musical Acoustics category of the 167th Acoustical Society of America Meeting. Gérard Berry & Jean-Louis Giavitto, Informatique et Musique, Réunion de l'inter-section des applications des sciences, 31 mars 2015, Académie des Sciences. Séminaire de la réunion annuelle du Decanat des Science, Université de Namur. Une représentation spatiale de notions musicales. Séminaire invité, 8 mai 2015, Namur. Conseil Scientifique de l'IRCAM, Programming (cyber-) temporal musical systems (with D. bouche), 14 mars 2016. Conseil Scientifique de l'IRCAM, Mathemusical Morphologies (with M. Andreatta), 14 mars 2016. Sharing (musical) time between machines and humans: simultaneity, succession and duration in real-time computer-human musical interaction. In Beyond Logic Conference held in Cerisy-la-Salle, 22–27 May 2017. Les stratégies d'écriture du temps dans Antescofo Colloque État de l'art / état d'alerte, Collège de France, 06 juin 2017. Antescofo. Programmable Audio Workshop, Lyon 1 décembre 2018. Antescofo Workshop. Programmable Audio Workshop, Lyon 1 décembre 2018. Time, timelines, cuelists and clotheslines in mixed music. Séminaire « Histoire et Philosophie de l’informatique et du calcul ». MESHS Lille, 13 mars 2019. Gay refuge script jointly written with D. Blasco for CanalPlus (2'20), décembre 2002. Le Philosophe et le gogo-dancer script jointly written wit D. Blasco, for CanalPlus (2'20), décembre 2002. Le chercheur et son dessous-de-plat articulé, script and play for a short movie by Cyrille Doucan, (5'07), mai 2003. Au folle les pompiers, script jointly written with D. Blasco, for CanalPlus (3'05), septembre 2003. Lueur secrète, script written with D. Blasco, end 2008 - begin 2009. Toilettes Publiques aka Toilettes Zones, by D. Blasco from the novel "Gents" by Warwick Collins (Orion Books) (translated in french : "La Pissotière" 10/18). (Arte, région Nord-Picardie and CNC). Best Short Film – Audience Award at Queer Lisboa Film Festival. Can be viewed and buyed on Arte video on demand. Avenue de France, script written with D. Blasco, begin 2009. Grant from the "Ville de Paris" 2009. Produced (2010) by Filmo Productions. COSIP CNC. Pré-achat et diffusion TPS and TV5. Prix : Festival de Mougon (Prix de la commune), 10èmes Rencontres du Cinéma Européen de Vannes (Prix Cin’écran - Jury Jeunes). Sélection en festivals : Soirée Courts à l’Escurial de Paris, Fuji Tous courts, Festival du Film Policier de Liège, 10èmes Rencontres du Cinéma Européen de Vannes, Festival du court métrage de Mougon, Péniche Cinéma, Côté Court de Pantin, Programme Fairecourt de Picardie, Festival du court métrage de Mâcon, Sélection Prix uniFrance du court métrage Cannes 2011, 37ème Badalona Film Festival (Barcelone), Cristal Festival (Suisse), Ourense Film Festival (Espagne), Festival de Contis, Festival Cinéma et droits humains (Amnesty International), Festival du Film Hyères les Palmiers, Festival international du cinéma francophone en Acadie (Québéc), Festival du film de Rio, Fuji court (paris). Journée Court-Bouillon, Paris La Péniche Cinéma, décembre 2011. Sélection hors-compétition au festival des 24 courts, Le Mans, France, février 2012. Mosaic Palace Hotel, script written with D. Blasco. Selected by the "Guide des scénaristes" for the "Atelier franco-égyptiens" in 2011. Acquasanta by D. Blasco and P. Barassat (from the eponyme A. Gide's short-story; this project wins a grant from the CNC and another one from the Fondation Beaumarchais). Petit Frère by D. Blasco from the dialogues of Femmes, Femmes by P. Vechialli and N. Simsolo. Abattoir short movie (26mn., Canal+, CNC, région Basse Normandie) by Didier Blasco from an original script by D. Blasco.